After leaving Moab, UT, we stopped off at Colorado National Monument and did a quick climb up Independence Monument. 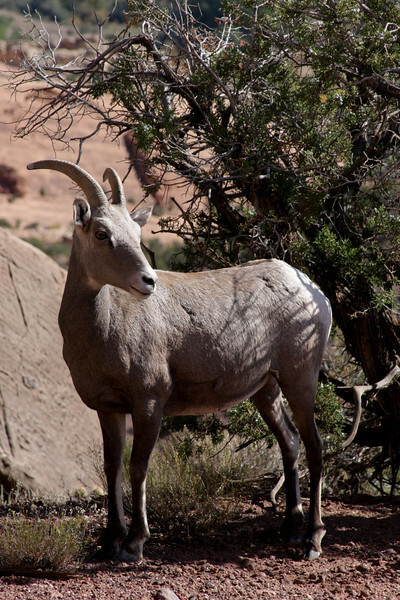 On the hike in, we came across a couple of Rocky Mountain Bighorn Sheep, which provided me with more photos than the actual climbing did. A Rocky Mountain Dall Sheep stands in the sun alongside the trail on our hike to Independence Monument.